All OAK SHORES ESTATES homes currently listed for sale in Canyon Lake as of 04/20/2019 are shown below. You can change the search criteria at any time by pressing the 'Change Search' button below. 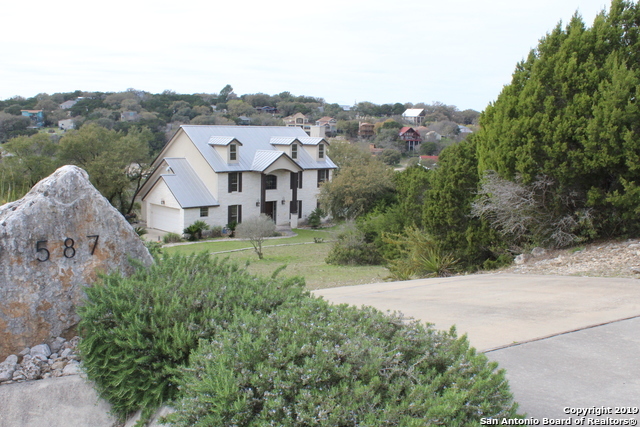 "Beautiful Hill Country limestone home with fabulous views and easy waterfront access. Relax on the covered decks and enjoy gorgeous views of the lake while entertaining family and friends with the best Canyon Lake has to offer! Fabulous views from inside the home as well. The open floor plan naturally lends itself to entertainment. Large lower private deck off the master bedroom is perfect for a hot tub or enjoying morning coffee. Limestone fireplace creates a warm ambience in this private retre"